Cruise the streets and highways of Florida behind the wheel of the 2019 Volkswagen Passat. With a 2.0L turbocharged TSI® engine, you’ll experience optimal pep and fuel efficiency in this midsize sedan. The Passat also achieves an estimated 36 mpg in fuel economy on the highway. Inside the cabin, you and a front-seat passenger can remain comfortable with the Climatronic® dual-zone automatic climate control. And on your journey, the standard Blind Spot Monitor keeps you alert to any vehicles on the side of you. 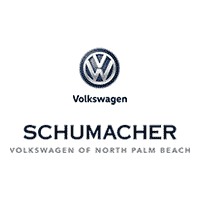 Test drive the Passat today in North Palm Beach, FL.